Fallout: New Vegas released 18 days ago. That's 432 hours. 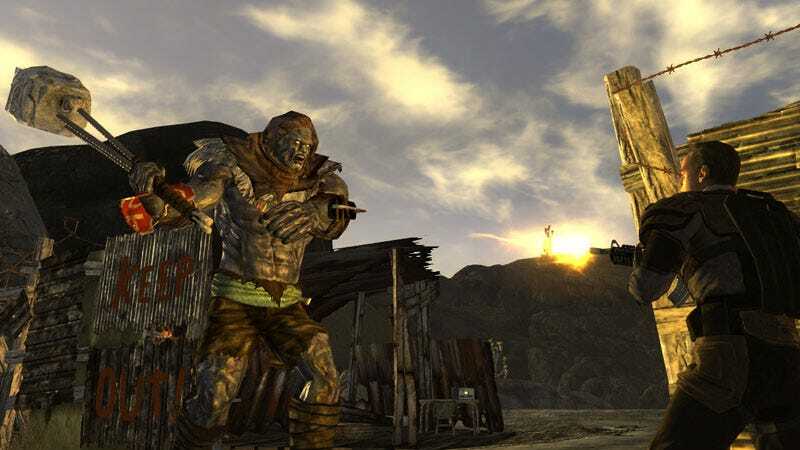 Since then, more than 475,000 hours have been spent reading and editing the Fallout: New Vegas wiki. That's 58 years. Over on Wikia, where numerous games' wikis are tended by legions of fans, Fallout added more than 1,200 new pages since the game's release, and its traffic shot up sevenfold at one point - 2.5 million visitors in one week. They weren't just lurking. "Over 475K man hours were spent reading and creating content about Fallout: New Vegas – the equivalent of 58 years!" wrote one editor in a note to the community. The traffic surge also shattered all previous Wikia records. World of Warcraft's Wiki was the previous title holder, with 5 million daily page views. Over the past two weeks, Fallout's has beaten that mark, topping out at 8.8 million on Oct. 24. As the wiki is named The Vault, might some be taking "We are born in the Vault and we will die in the Vault," a bit too seriously?